Lawrence Aylette Crawford was born on June 17, 1895, in the town of Paint Lick in Garrard County, Kentucky, to Alexander Warwick and Elizabeth Taylor Crawford. By 1900, the Crawford family was living in Garrard County, where Alexander Crawford was serving as a Christian minister. By 1910, the Crawford family had moved to Alfordsville Township in Robeson County, N.C., where Alexander Crawford was serving as a Presbyterian minister at the Ashpole Presbyterian Church. By 1917, the Crawford family had moved to the Greensboro, N.C., living at 320 South Mendenhall Street (near modern-day University of North Carolina-Greensboro). Lawrence Crawford attended college at Davidson College in Davidson, N.C., starting as a freshman for the 1912-1913 school year. During the 1914-1915 school year, he was a member of the Davidson Golf Club. 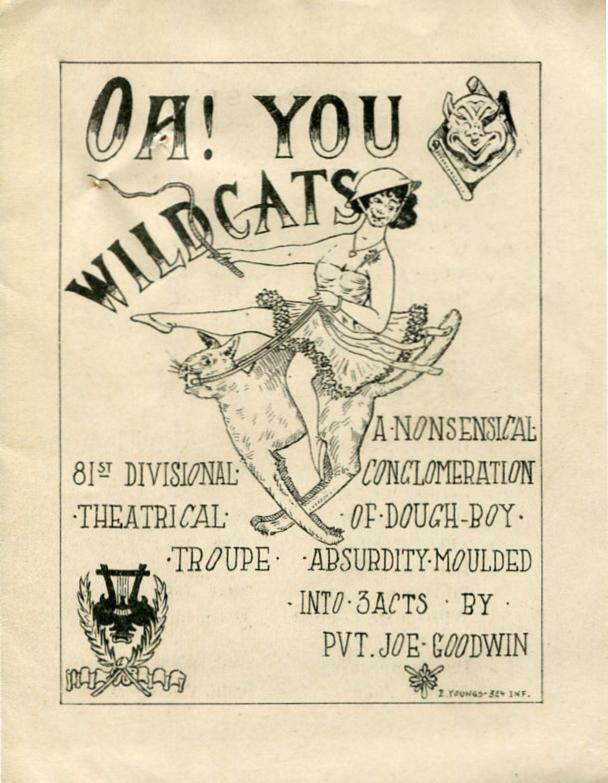 In his senior year of 1915-1916, Crawford was the star quarterback of his senior class football team, and a member of the reporters’ staff for the school newspaper Davidsonian. He received a B.S. 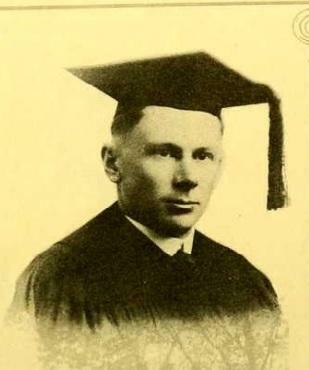 degree in 1916 from Davidson College. At the time of his federal draft registration for World War I, Lawrence Crawford was living in Greensboro, and working as a clerk at Southern Life and Trust Company. Lawrence Crawford enlisted for service in World War I in the Enlisted Reserve Corps (ERC) on June 25, 1917, in Greensboro. He spent the summer of 1917 with his brother Robert T. Crawford at Fort Oglethorpe, Georgia, in the Reserve Corps. Lawrence reached the rank of Private First Class on August 20, 1917. By September 1917, Lawrence Crawford was assigned to Camp Jackson, S.C., with Ambulance Company 321, 306th Sanitary Train, 81st Division, U.S. Army. Crawford was reassigned to Headquarters Company, 306th Sanitary Train, on May 1, 1918. He remained at Camp Jackson until June 14, 1918, when his unit moved to Camp Sevier, S.C., in preparation for shipping out. On July 1, 1918, Crawford was promoted to the rank of Sergeant. Around July 18, 1918, Crawford’s unit left Camp Sevier for Camp Albert L. Mills on Long Island, New York. Camp Mills was used by the U.S. military as a port of embarkation for soldiers being sent to Europe for overseas service. Crawford left the U.S. aboard a converted British-Australian cargo ship named Nestor, used as a troop transport ship on August 8, 1918. During the trip, the ship’s engine coal stokers went on strike in the middle of the voyage, claiming to be “Irish sympathizers,” according to Crawford, as part of the Irish War for Independence. American troops had to take over stoking the engines in order for the ship to catch up with their convoy and protective battleships. The ship reached Liverpool, England, by August 20, 1918. By August 31, 1918, Crawford and the 306th Sanitary Train had arrived in Saint-Nazaire, France. By September 14, 1918, Crawford was stationed in Saint-Dié, France, in the Vosges Mountains. By October 27, 1918, he was stationed in Rambervillers, France. 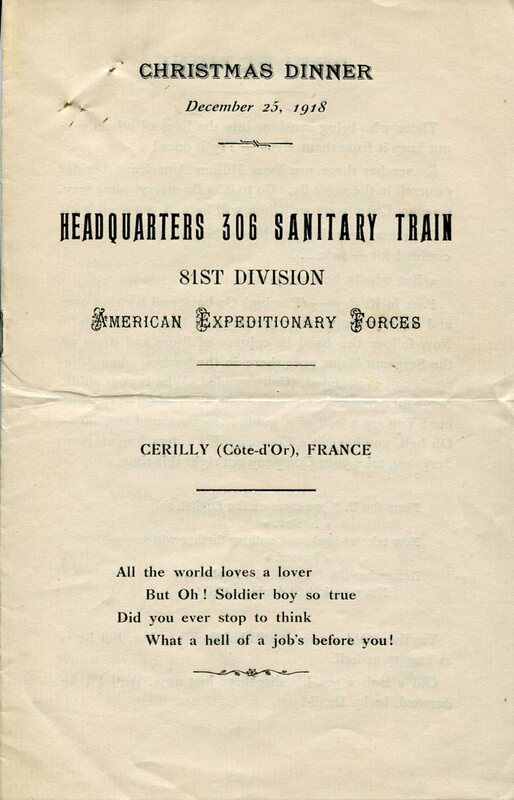 After the Armistice was in place, Crawford and the Headquarters Company, 306th Sanitary Train, were stationed at Les Monthairons, France, near Verdun, with the U.S. Army of Occupation. By December 27, 1918, he was located in Cérilly, France, where he remained through at least the end of February 1919. By February 4, 1918, Crawford was on his week-long leave in Aix-les-Bains, France. By March 15, 1919, he was in Châtillon-sur-Seine, France, by which time Crawford was working partly issuing new clothes to U.S. Army soldiers out of a supply warehouse. Crawford remained stationed in Cérilly, France, from around April 1 through May 1919. Lawrence Crawford left France in June 1919, and arrived back in the United States at Newport News, Virginia, on June 20, 1919. After being sent to Camp Lee in Virginia from his disembarkation point, Crawford was honorably discharged from active U.S. Army service on June 29, 1919. By 1940, Lawrence Crawford was still working as an assistant secretary at Pilot, and his wife Olive was an organist with a local Methodist church. He continued as an assistant secretary at the company through the 1950s. By 1951, Crawford was working now as both the assistant secretary and the department manager at the Pilot Life Insurance Company in Greensboro, and the Crawford family was living on North Mendenhall Street next to the University of North Carolina-Greensboro. By 1956, Crawford had switched companies, and was working as an insurance agent for the Home Life Insurance of New York in Greensboro. By 1950, Lawrence Crawford had returned to working as the assistant secretary at Pilot Life Insurance Company. He appears to have remained working in the insurance industry until his retirement. Lawrence A. Crawford died on March 31, 1984, in Greensboro, N.C., and was buried in Forest Lawn Cemetery in the same city. 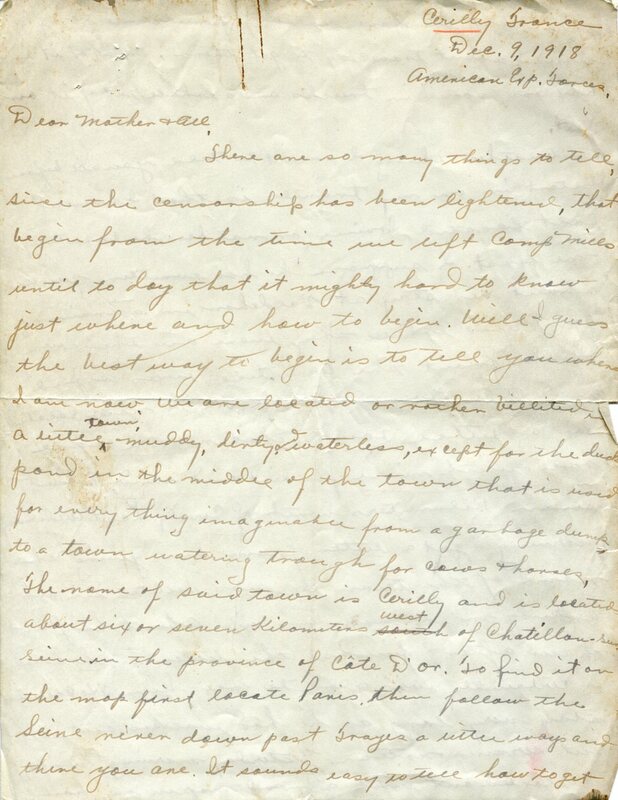 To learn more about Lawrence Crawford’s WWI service, check out the Lawrence A. Crawford Papers (WWI 119) in the WWI Papers of the Military Collection at the State Archives of North Carolina in Raleigh, N.C., and see the attached finding aid for the collection.